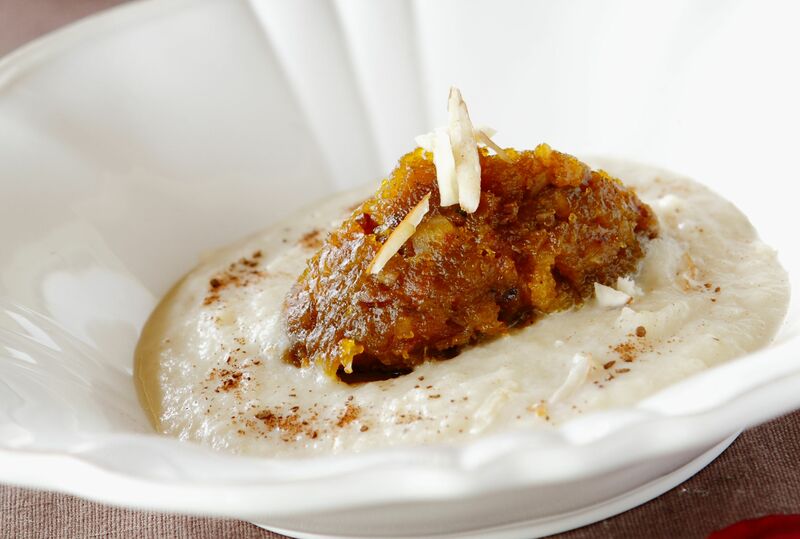 An excellent amalgamation of Pumpkin and Apple Halwa to delight the taste buds. In a saucepan, add ghee, dried fruit and nuts, and sauté over low heat. Once the raisins puff up, mix in the mashed pumpkin. Add sugar and cook until the mixture thickens; add the cardamom powder. Mix well and remove from heat. In a saucepan, place apples and cover with water; simmer until apples soften. Add remaining ingredients, stir and cook for 1 minute. Blend if liked. Scoop a tablespoon of pumpkin halwa into a bowl and add the apple sauce. Serve at room temperature or chilled.